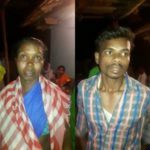 Hindus twice assaulted a Christian community in a rural India village early this month, beating Christians, forcing them into Hindu worship rituals, and damaging their homes, according to Christian witnesses. The Sunday worship meeting was underway Sept. 2 at the home of a new Christian, Daminbai Sahu, in Bhanpuri, a village in the Balod district of India’s state of Chhattisgarh. 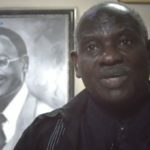 The witnesses said a group of villagers stormed into the house and beat several of the people attending the meeting, including a visiting pastor identified only as Dada, of the Philadelphia Fellowship. The attackers accused Dada of forcefully converting Hindus to Christianity, the witnesses said, and dragged him out of the house. As hundreds gathered around the commotion, the extremists ordered Dada out of the village and threated to kill him if he returned, said Samuel Philip of the Church of God in Balod. 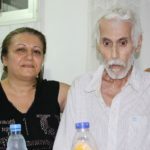 They forced believers to renounce their faith in Christ late into the night, said Church of God Rev. Sandeep Claudius. The following night, at 11 p.m., about 600 Hindu extremists stormed the houses of five Christian families belonging to the Philadelphia Fellowship, Claudius said. Led by four men he identified as Manish Sahu, Virendra Yadav, Vinod Gond, and Vinod Sahu, the mob called the Christians “pagans” and accused them of trying to forcefully convert Hindus to Christianity. They threatened dire consequences if they did not give up their faith. They broke doors, damaged the houses and household items, Christian witnesses said. Claudius said the extremists forced the Christians to bow before Hindu idols and chant Hindu slogans. “We will not forsake Christ even at the point of death because he has forgiven our sins and gave us new life,” one victim, Deherram Sahu, told World Watch Monitor. 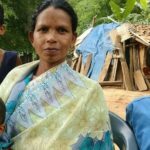 The extremists forced Sahu and believers from three other families, Sarjuram Sahu, his wife Janakbai Sahu, and Ubhayram Sahu to leave the village at about 1 a.m., in the monsoon rain. The four reached a small town of Gurur, about 12 kilometers away, and informed the church leaders at Balod. Later they found shelter in Balod with local Christians. Christians remaining in Bhanpuri, including children and elderly, were unable to come out of their houses. Family members were rescued from the village after some days by area church leaders. They went to the Gurur police station, but were turned away. “He advised the believers to go back to the village and worship Hindu gods,” Philip said. 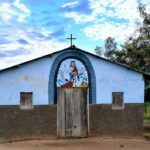 Church leaders eventually prevailed upon the police to accept the complaint, and statements from the four believers evicted from Bhanpuri have been registered. But police have not filed a first-information report detailing the assaults. The small Christian community of Bhanpuri has faced ostracism since converting to Christianity in 2006. The Open Doors International World Watch List describes India as a nation where Christians generally are free, but “violence against pastors and church gatherings continues on a monthly basis, usually in rural areas.” The World Watch List documented more than 100 incidents of violence against Christians in 2011. The Indian constitution guarantees religious freedom, but in five of India’s 28 states, including Chhattisgarh, the law also forbids forced conversion from one religion to another. Christians under pressure in those states frequently face accusations that they are actively recruiting Hindus away from their religion. In August, the high court of India’s northern state of Himachal Pradesh reaffirmed the law’s prohibition of forced conversion. But it struck down a 2006 addition to the law, one which requires a person to give the government 30-day notice before conversion. “A person not only has a right of conscience, the right of belief, the right to change his belief, but also has the right to keep his beliefs secret,” the court ruled.